Puget Sound Knitting: preemie noggins! Save the Children is having a campaign for knitters and crocheters to make a cap -- 9-11 inches/23-28 cm in diameter to be sent to regions of the world where babies die at an alarming rate because there is no way to keep them warm. 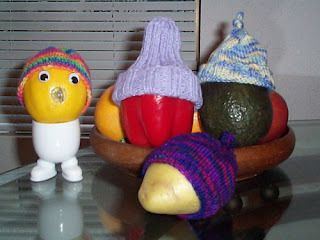 Something as simple as a knit cap can change that! These caps will go first to the president-elect in hopes that he will use this information to shape his priorities for the coming years. In 2007 knitters across the United States participated and sent in thousands of caps. Auntie Gail of KnitU was a champion of this cause and set up a drop-off point at one of the Stitches events. Hopefully something like that can be arranged again. Watch this space for patterns.